I will blow my trumpet for you, says the flamingo to the giraffe and jumps on her back. We think that’s what could have happened when you look at the picture on the children's plate Girls Animal Print by Rice. There stands a trumpeting flamingo on a giraffe's back and that will definitely make a toddler smile. A trumpeting flamingo on a giraffe, who has ever seen anything like that? 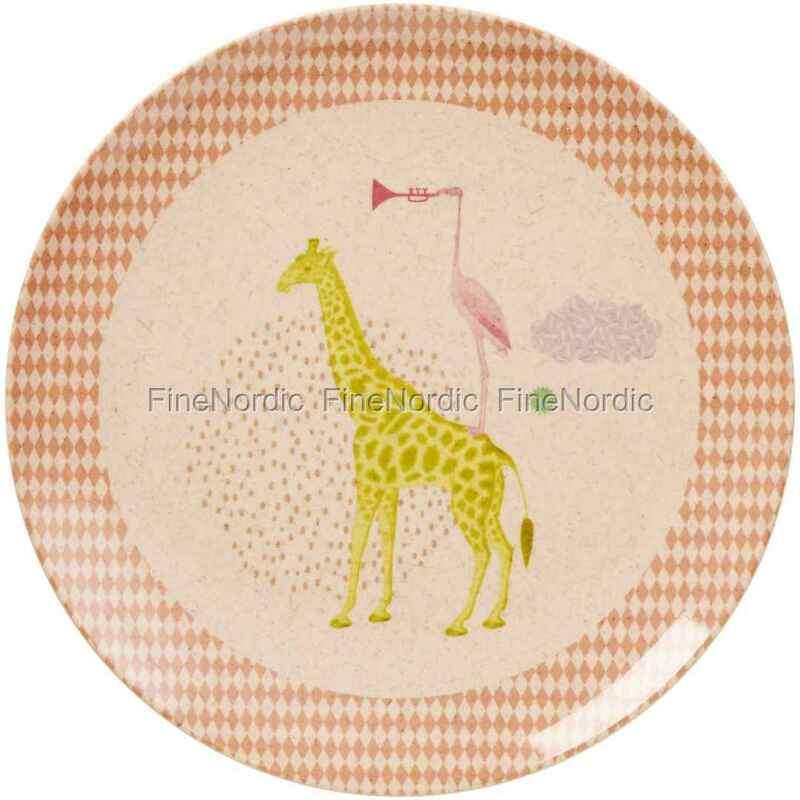 The funny children's plate by Rice has a diameter of 20 cm and is also very sturdy and therefore ideally suited for toddlers’ hands.